This image i capture from a stormy sunrise last weekend. 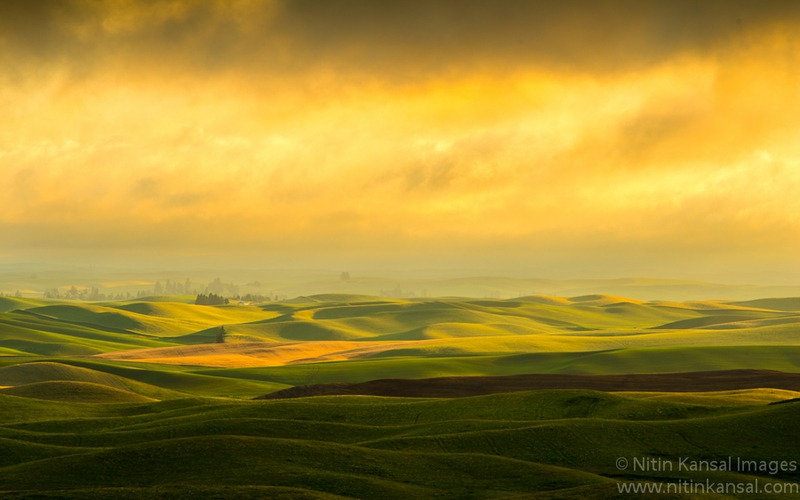 I had always wanted to go to palouse region and see these rolling hills. Last weekend i had chance to go there with my friends Jacob and Rod. Drive to Palouse region is around 5 hours from seattle which is quite a bit of drive. We decided to drive non stop so that we can catch some sunset light over palouse falls. Light was not great but had fun shooting star trails for first time! 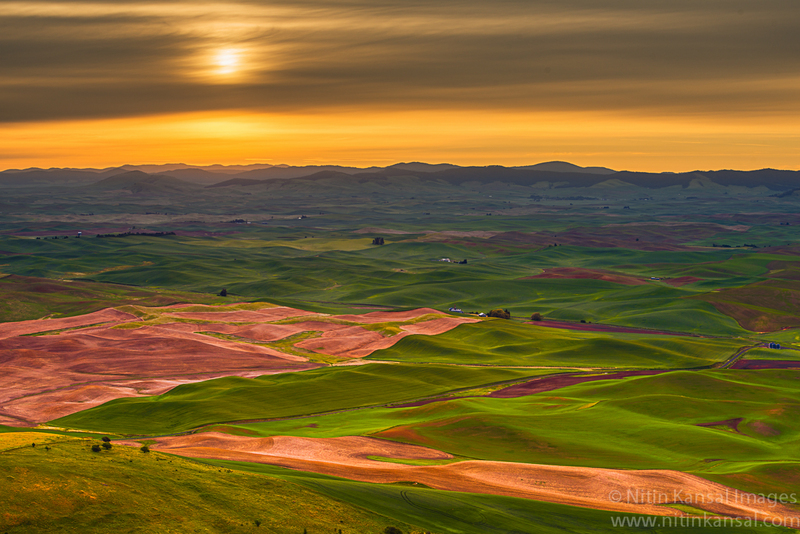 Next morning was planned for Steptoe butte. Though i slept for under 2 hours, i was feeling very refreshed in morning and quite excited too. Light was looking promising and we managed to reach top of butte and able to capture some light. Next day i decided to shoot again from same area at sunrise, though weather prediction was not looking good and was cloudy. By the time i went to bed it was already 1:00 in morning. I had slept for less than 3 hours in last 2 days but i decided to woke up at 3:45 ( decent enough time to reach butte before sunrise) and left for sunrise alone when my mates decided to sleep in our Hotel. When i reached butte i saw cloud was covering half of butte, not very good sign. I reached top of butte but it was so misty that i couldn’t see my car when i stepped outside it !!. I decided to go back to plan 2 where mist was less and parked there( and parking lot was already full .. thanks to workshop going on).